Change is the only constant, and for most – change is a thought of fear. Being a pioneer comes with its challenges – however, Suwaiba Yunusa is a determined woman. 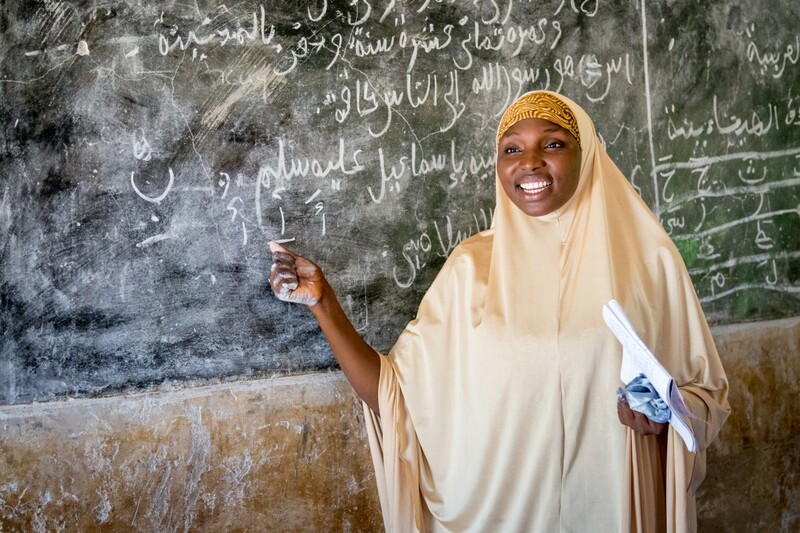 This is the story of the only female educator at Janbulo Islamiyya Primary School in the Jigawa State of Nigeria. A place where the most out-of-school children are girls. Suwaiba Yunusa is forever grateful to her experiences as a young girl. She credits them for her current life path and she says the two women teachers were instrumental. She says they were the motivation for her pursuit of a career in education because of the role they played in her life. Besides being the teachers, she saw them as older sisters and mentors, guiding her in times of strife through education. It is common for areas with lesser education penetration to follow outdated customs and practices. It is also a common practice for girls to be kept from further education simply because the men educators weren’t allowed to aid the girls as they grew into young women. Suwaiba recognizes that the role she would play would be of utmost importance as these young women would otherwise drop out of school and take to housework instead – effectively hampering their chances of personal growth. Nigeria is home to 20% of the worlds out of school children, the majority of them being girls. This statistic would only worsen if it wasn’t for Suwaiba. To think that an entire state school would have its female population neglected because of a mindset that discouraged progress is a cruelty upon humanity. Education is a right, and Suwaiba is the enforcer of that right. She realizes that girls are not as inclined to attend school because of the lack of a female role model. This notion stands true as upon further investigation, Suwaiba and her team found that the families were also a part of the problem. Safety concerns, outdated norms and backward thinking were among the factors that led to this – the only one doing something about it is Suwaiba. Her challenges included a hint of exclusion. Culturally, she cannot interact with her male counterparts. This raised trouble as she felt lonely in between classes and there weren’t any staff rooms as such for her to participate in professional discourse – a red flag she’s set out to effect change in through education. It is clear that Suwaiba has a humanitarian outlook for her state and the students she teaches. The grant has enabled training for more women in the locale that have followed in her example. Among the many hardships she faced in her journey, she recalls thinking it would’ve been so easy to quit and transfer over to another school. Her perseverance is the mark of honour that will inspire future women of change, effectively evolving Jigawa, followed by Nigeria and then the world. This is the power of education, a bulwark against the perils of the modern world.